Welcome to the Axiom Panel. This is a secure site. Information provided here will be kept strictly confidential by Axiom Research and will not be shared with other entities. Please begin by filling in your contact information below. Then, please indicate the typesof research for which you would like to be contacted. 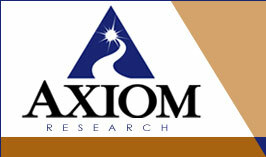 If you have any questions, please call Axiom Research at 901-821-4333. Step1: Please provide your contact information. Step 2: For what types of studies would you like to be contacted? Step 3: Please provide the following demographic information. What is your gender? What is the year of your birth? What is your race/ethnicity? What is your employment status? In what industry do you work? If other, please specify. Step 4: Although not required, the following information will help us match you to research project requirements. What is your total household income before taxes? Do you have children under 18 years of age living in your household? Do you have a dog? Do you have a cat? Do you use tobacco in any form? Please check any applicable boxes below. Do you consume alcohol? Please check any applicable boxes below. Do you drink other alcoholic beverages? Please check any applicable boxes below. Do you purchase food from fast food restaurants? Do you frequently shop for organic foods? Do you own a cellular phone? Who is your cellular phone service provider? How do you tend to lean politically? Do you make purchases over the Internet? Do you bank or pay bills online? Do you read the newspaper daily (print/online)? Do you read magazines regularly? Copyright 2009 Axiom Research, LLC.